Once again, I didn’t get a post up when I said I would, but let’s be honest, when does that ever happen? I was planning on a nail tutorial as my second post on Thursday but it all went t*ts up so here I am on Sunday instead. Hi. I bought that white T-shirt today and it makes me feel like a bad*ss. I got my first ever pay check so shopping was 100% necessary, but because I have posted haul after haul, I won’t do another one because quite frankly, it gets a bit boring. And I will probably have more interesting hauls in the near future. 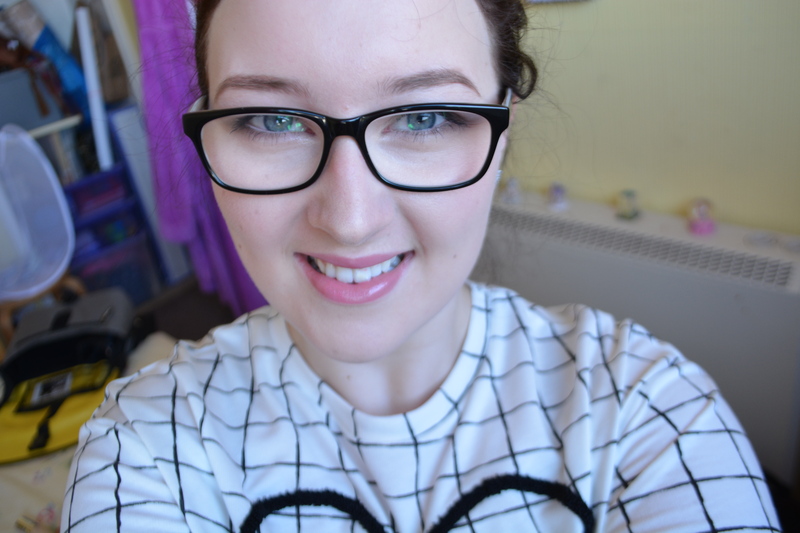 So instead, why don’t we have a look at my makeup from today? For my base I used The Body Shop foundation in shade 2 with the obvious choice of the Collection Lasting Perfection concealer in “01- fair” under my eyes (and blended outwards towards my ears), down the bridge of my nose, in between my eyebrows, on my cupids bow and finally, on my chinny chin. 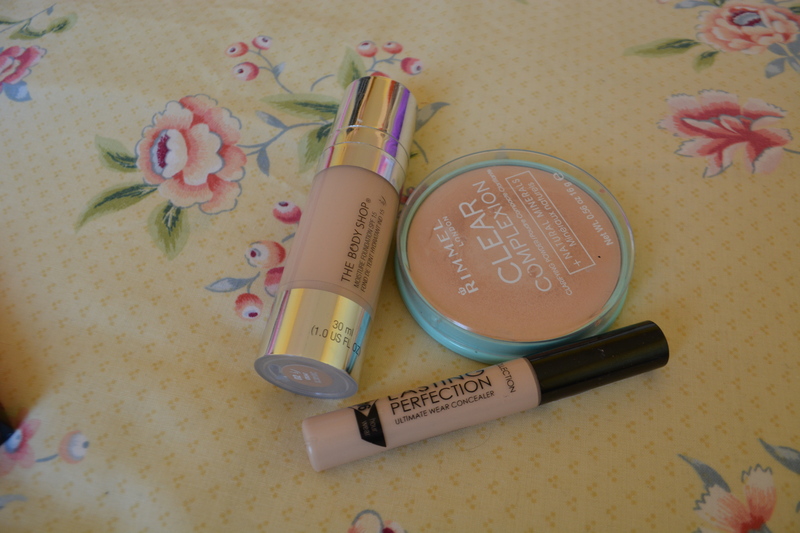 Then I set this with the Rimmel Clear Complexion translucent powder. I also sprayed my face with a tiny bit of water before moving on because Wayne Goss (the absolute babe) said to use rose water to make your makeup look less cakey but I don’t have that and water is working perfectly fine for me! Then I used Benefits high beam on my cheekbones and cupids bow and the dandelion blush on my cheeks (duhh). 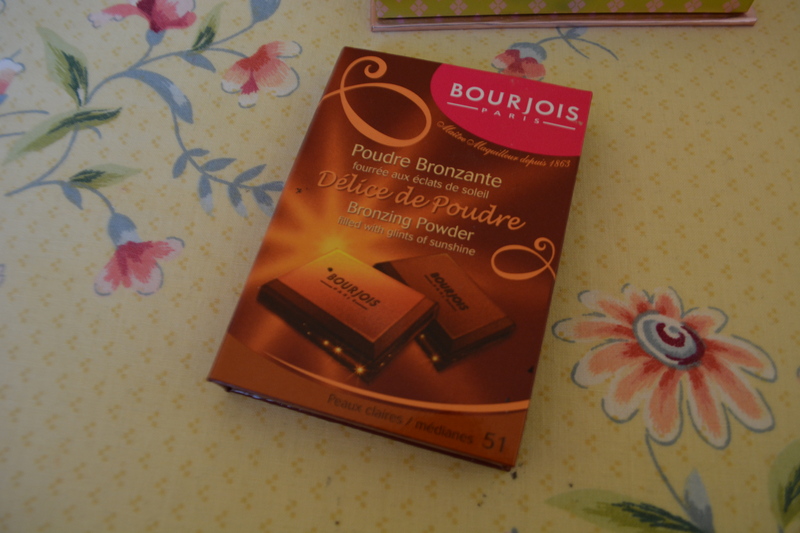 I followed that up with my favourite bronzer- Bourjois Delice de Poudre in shade number 51. I put this in the hollows of my cheeks to make me look thinner, on the top of my forehead to make it look smaller, under my bottom lip to make it look more plump, down the sides of my nose to make it appear more narrow and finally under my jawline to make it look like I don’t in fact have a double chin. I really do love my bronzer. 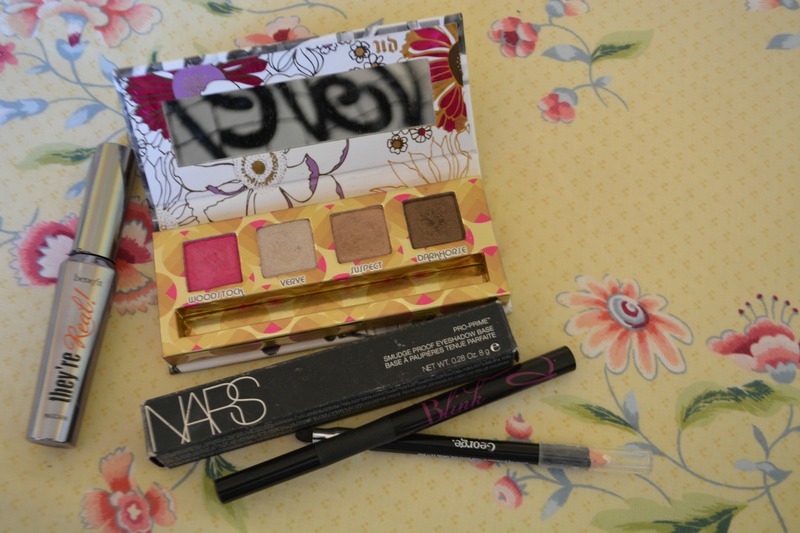 As per usual I started off my eyes with my nars smudge proof eyeshadow base. If you have particularly oily eyelids and/or hooded eyes like myself, this is an absolute life saver. I then used the light brown colour from this mini Urban Decay palette on the inner corner of my eyes and blended out as a sort of ‘wash’ of colour. Then I put the darkest colour on the outer corners, in the crease I wish I had and underneath my eyes. 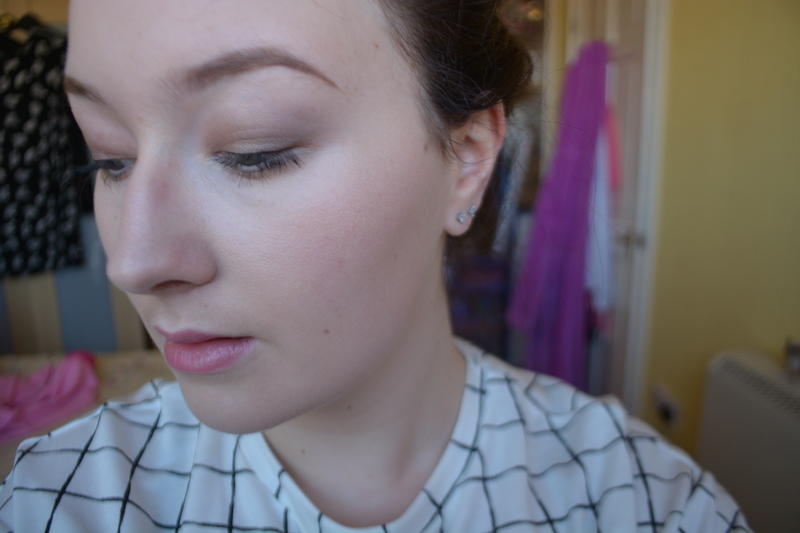 I also put a teeny tiny bit of the light champagney colour in my inner corners. I then lined my waterline with my trusty George white eye liner and my top lash line with my BarryM Blink waterproof eye liner. I finished my eyes off with the Benefit They’re Real mascara et voila! Chloe is the name, brows are the game. I firstly use Benefits brow zings in “medium” and then blend a bit of that dark brown colour from a little ‘palette’ I’ve had for a billion years because my hair is so super dark now. 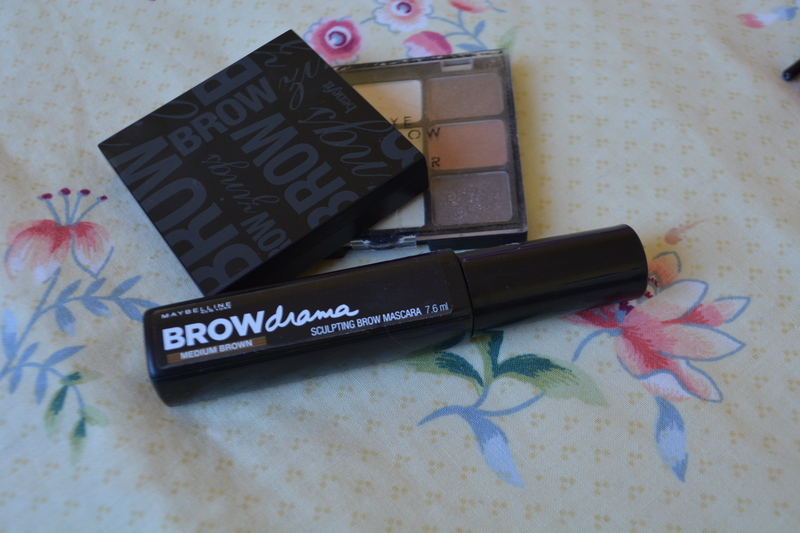 I then top it off with the Maybelline brow drama in “medium brown” which I have grown to love. 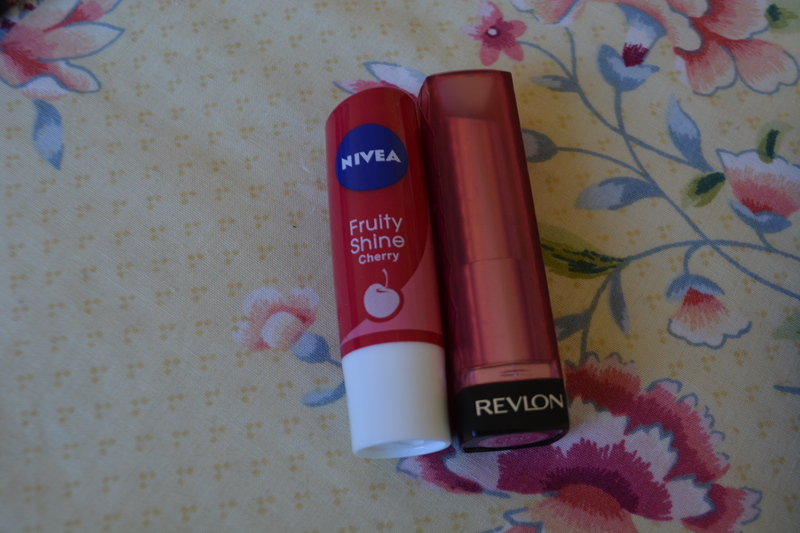 For my lips I just slapped on this Nivea cherry lip balm and a Revlon lip butter in “berry smoothie”. I am the best at back grounds, aren’t I…? Let’s just ignore my room. And the reflection on my glasses. I have finished the post but I don’t think I’m quite ready to stop talking to you guys so I’ll tell you a little bit about last night. I went to a friends 18th who I went to school with but haven’t spoken to them in like a year and it was so nice to catch up! I knew half the people there from my old school and then made friends with his college friends and it was so lovely because everyone go along so well! We also did shots with his Mum, it was great. At one point I got my hands on the remote for the music, so as soon as everyone started screaming the songs at the top of their voices, I would pause it, and as soon as they pressed play, I would pause it again. I am so evil but my word it was funny. I made friends when people realised I was doing it so I guess everyone has a little evil streak in them. That’s all I can properly remember of the night, apart from somehow destroying my jeans, I think I might have tried to do the splits. But yeah, that’s it for today, goodbye for now little buns! ← “Sisterhood of the World Bloggers” AND “One Lovely Blog” Awards!